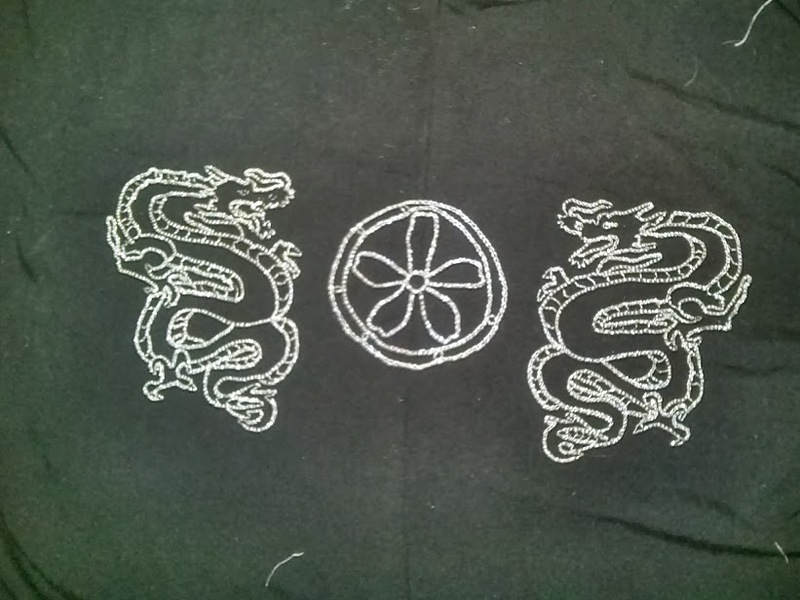 As the new year has started so has the list of projects.. We all have them.. My first project is to do a device on the back of a Furisodo.. As the device has many details it was a challenge to transfer the pattern to the already completed piece of clothing. 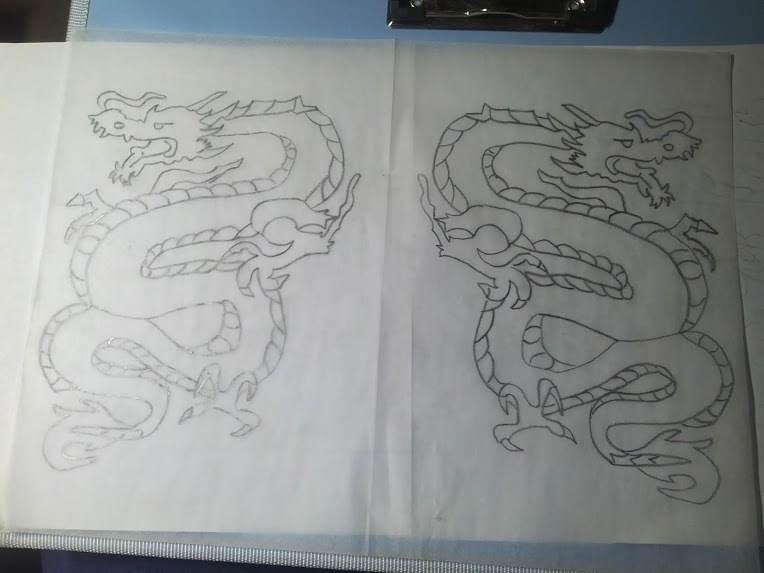 Using tracing paper I traced over the device and made three separate sheets. After completing the tracing the three pieces the placement on the clothing was next. 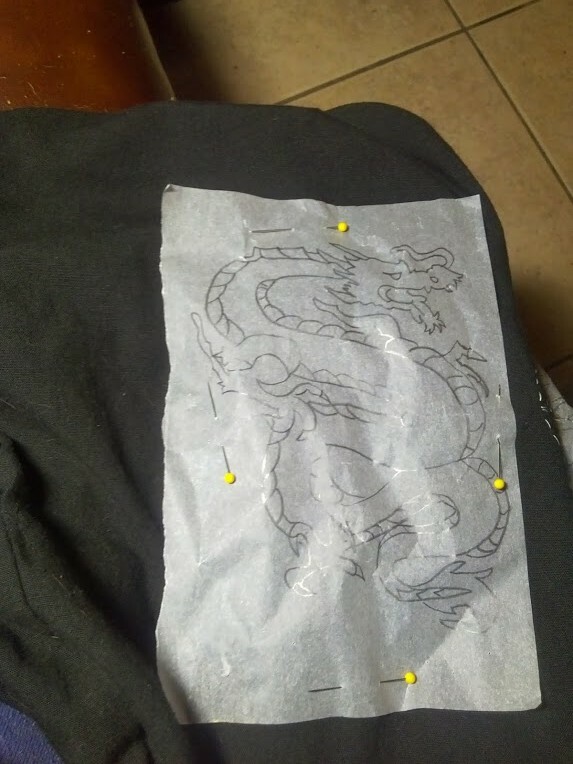 After some trial and error the placement was finalized and in went the pins to hold the patterns in place. 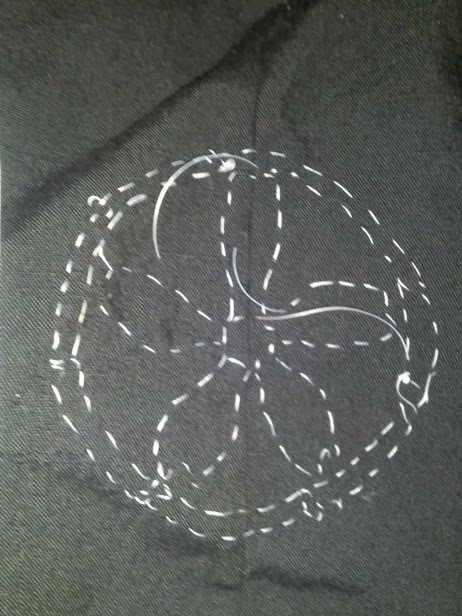 To transfer the pattern buttonhole thread seems to give a good line and is easy to pull out after you have embroidered. 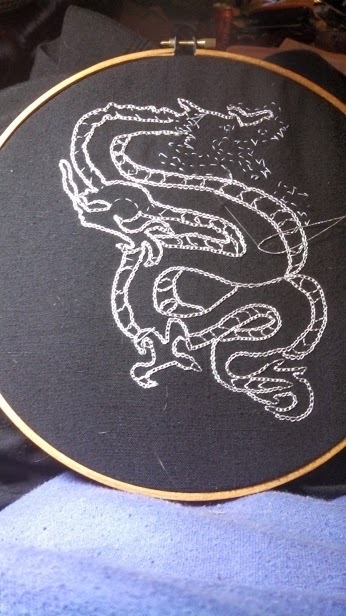 The design is done in silver thread with a chain stitch. 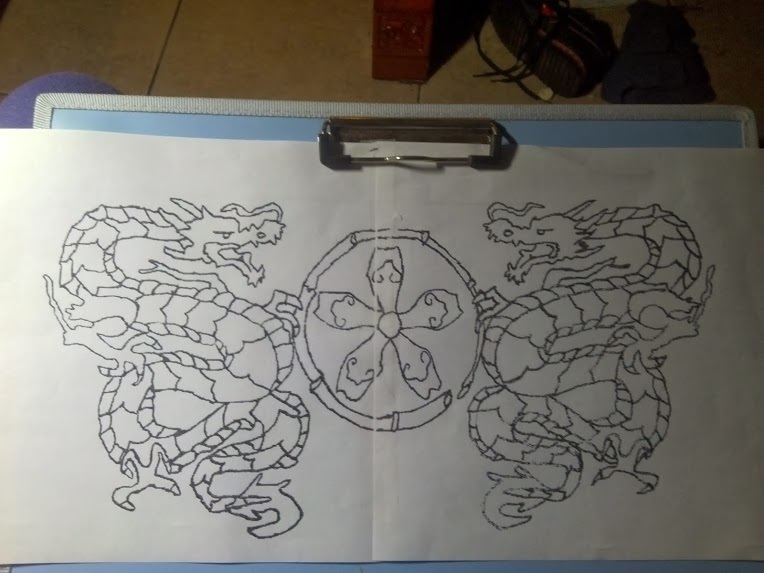 The completed back took around 20 hours. The first project of the year completed!!! 🙂 Hmm now what to do next….